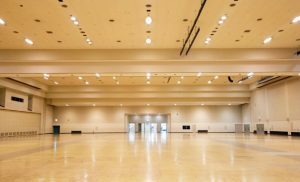 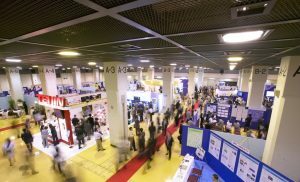 It is possible to hold large-scale anniversary meetings and ceremonies for thousands of people in Kobe International Exhibition Hall. 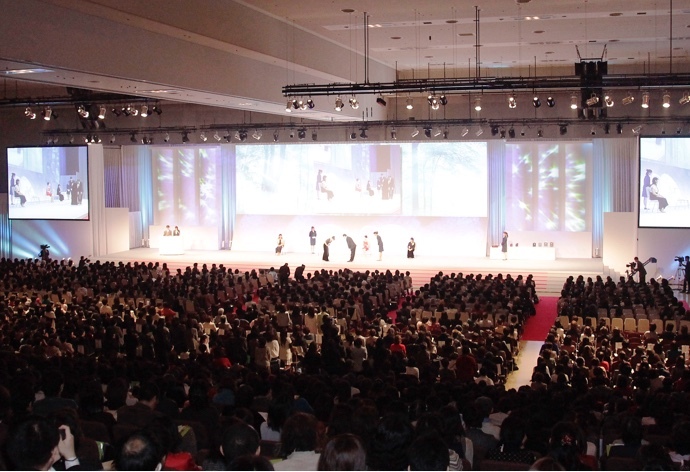 A large stage was set in an area of 3,800㎡ for a dynamic atmosphere. 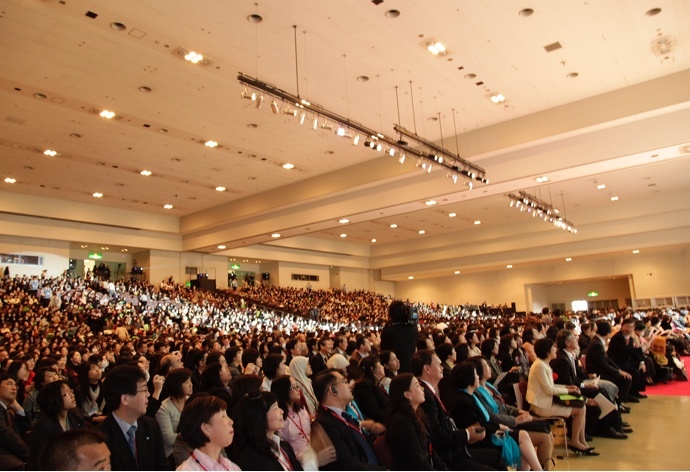 Movable seats (about 1,500 seats) in a theater layout were set in the back row of the stage. 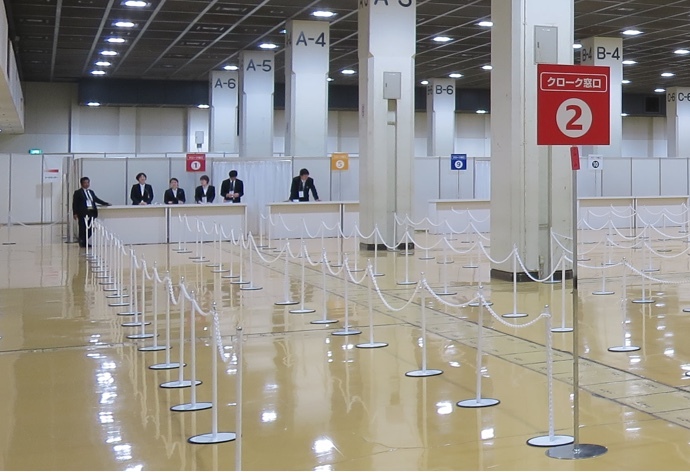 A sufficiently large cloak desk was set, using an area of 3,000㎡, so as not to keep the visitors waiting.